For generations, we have cultivated our land with loving care and we obtain a great product from it. 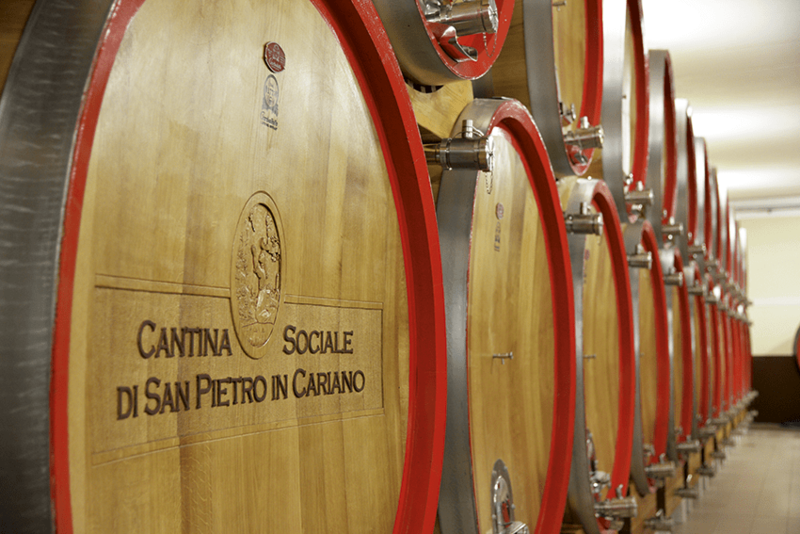 The Cantina Sociale di S. Pietro in Cariano, founded in 1939, is one of the oldest in the province of Verona. Our wine is the result of the work of the winemakers, who cultivate the grapes of the Valpolicella region with love and enthusiasm using traditional methods. The Cantina Sociale (Wine Cooperative). LThe Cantina Sociale Cooperativa Valpolicella Classico di San Pietro in Cariano has its roots in the late 1930s and was a voluntary organisation created by the Valpolicella grape growers. In 1939 the wine cooperative of Valpolicella was set up in San Pietro and the construction of the first building to be used as a winery began. The valleys of Valpolicella, from Fumane to Marano and Negrar, are areas that have always been suited to agriculture and viticulture in particular. We are honoured to be entrusted with the cultivation of this land, season after season. These come from particularly suitable vineyards in the historical municipalities of Negrar, Fumane and Marano. They are famous for their red colour, from ruby to purple, and for their somewhat full-bodied flavour. Chardonnay Frizzante IGT and Chardonnay Fermo IGT: straw-yellow, clear and sparkling, with aromatic, fresh, and persistent aromas. Two harmonious white wines to enjoy with friends. Rosé Frizzante IGT is the ideal aperitif, as an accompaniment to snacks and refreshments and quick meals. It is deep pink in colour, like peach blossom, and has a rich, mellow and floral bouquet. Our Extra Virgin Olive Oil is made from the Grignano, Favarol, Frantoio and Leccino varieties of olive harvested in the hilly areas north of Verona. Special artisanal grappas from Valpolicella, made from the Amarone Classico pomace, for refined and harmonious tasting sessions. A collectable glass goblet branded with the Cantina Sociale San Pietro in Cariano name.